ST. JOHN'S, N.L. -- An Aboriginal leader was "delighted" Monday after a Scottish museum agreed to return the remains of two people from a disappeared Newfoundland First Nation. "It's almost 200 years later, we're finally going to get them back to where they belong," said Chief Mi'sel Joe of the Miawpukek First Nation, who led an effort for the return of Beothuk people Nonosabasut and Demasduit. National Museums Scotland announced Monday that their remains will be transferred to the Canadian Museum of History in Ottawa, following a legal request last year from the Canadian government. Once in Canada, they will be transferred to Newfoundland and Labrador, Heritage Minister Pablo Rodriguez said in a statement. The Beothuk people have been widely considered extinct since 1829 following the tuberculosis death of the last known Beothuk woman. Earlier repatriation efforts were spearheaded by Joe, with backing of other Indigenous leaders and provincial and federal government leaders. Joe travelled to Scotland himself to visit the remains on more than one occasion since he began the process of formally requesting their return in 2015. 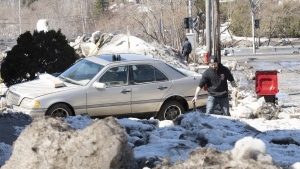 He said Monday he was pleased to hear that Nonosabasut and Demasduit will soon be on their way home, after being taken from a grave site during a dark chapter in Newfoundland's history. "I'm delighted that it's going to happen," Joe said on Monday. National Museums Scotland's director, Gordon Printout, said in a statement that the Scottish government has approved the transfer and arrangements are being made to bring the remains to Canada. "We are pleased to have reached this agreement and to be able to transfer the remains of these two Beothuk people to the country where they lived and were buried," Rintoul wrote. Joe said Indigenous leadership in Newfoundland and Labrador had agreed at a roundtable discussion to have the premier make the request on their behalf. In a statement issued Monday, Newfoundland and Labrador Premier Dwight Ball welcomed the news as "tremendously significant" and thanked Joe for his "leadership and international advocacy" on the issue. "We can restore these remains to their rightful home, reflect on what has been lost, and be hopeful about what can be gained through reconciliation, and by honouring Indigenous culture," Ball's statement read. A Newfoundland and Labrador heritage website says the Beothuk were "Algonkian-speaking hunter-gatherers who probably numbered less than a thousand people at the time of European contact." The arrival of Europeans brought about widespread disease, loss of hunting ground and possible genocide. 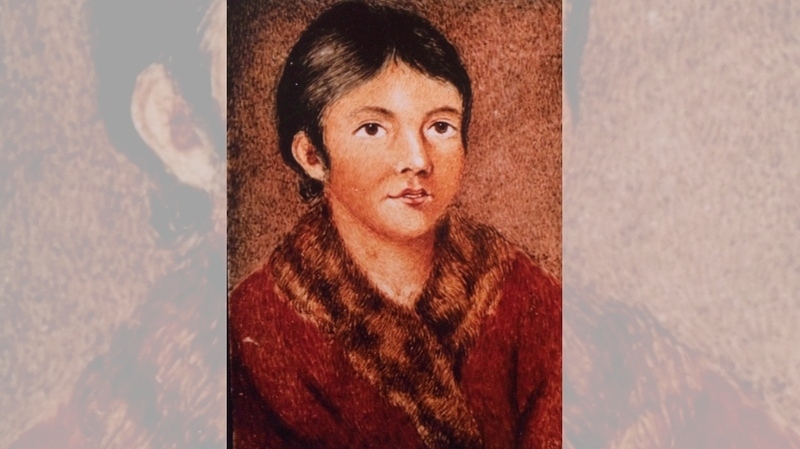 The last known Beothuk woman, Shawnadithit, died in St. John's in 1829. Her death is widely considered the end of her people's direct line -- though some evidence suggests survivors may have moved elsewhere in North America or joined other Indigenous groups. A request submitted by the province in 2016 was rejected because policy required federal governments to issue requests with support from "a community descended from those to whom the remains are ancestral." "The Government of Canada is committed to reconciliation with Canada's Indigenous Peoples and understands how important gestures such as this are to that healing process," Rodriguez said in his statement Monday. Joe said Indigenous leaders spoke with Ball Monday morning, and a plan for returning the remains to Newfoundland is being developed. Joe said the exchange had to be with another national museum, like the one in Ottawa. "I'm pleased they're coming back to Canada, and from there we work on when they come back to Newfoundland and where they will go," he said. A spokesperson for the minister of Canadian Heritage told The Canadian Press in 2017 that the Beothuk remains would likely go to The Rooms, a cultural facility and provincial museum in St. John's. While the timeline and final resting place for the Beothuks' return have yet to be finalized, Joe told the premier it would be fitting for Demasduit and Nonosabasut to have an Aboriginal honour guard travel with them on the journey home. "When those remains leave Scotland, there should be Aboriginal people to accompany them back to Canada and Aboriginal people there to greet them when they come back."